We are now well into the fifth year of Francis’ reign as Supreme Pontiff, with no end in sight to the confusion and chaos that have become synonymous with his pontificate (aside from his recent casual reference to “stepping down”, which could create more, not less, chaos). If anything, papal propaganda and high-profile scandals seem to be on the rise. The film Pope Francis: A Man of His Word and the harsh eviction of a retiring Argentinian archbishop, whose successor happens to be a close personal friend of the Pope, are prime examples—and let’s not forget the participation of the Vatican’s top diplomat in the recent Bilderberg (i.e. New World Order) meeting. Thus, as the reign of the Dictator Pope drags on, and the members of the Church’s hierarchy seem quite hesitant to resist him “to the face” (Gal. 2:11), it falls to individual priests and members of the laity to rally the troops and lead the resistance—not simply resistance of Pope Francis, mind you, but resistance of the decades-long plague of errors that has made his disastrous pontificate possible. Such will be the focus of an upcoming conference – billed as a “study day” – in Rome sponsored by the Lepanto Foundation, an organization based in the Eternal City and headed by the renowned Italian Catholic historian and author, Dr. Roberto de Mattei, who addressed the Catholic Family News conference earlier this year. One of the conference speakers happens to be Fr. Albert Kallio, O.P., a Traditional Dominican priest and longtime friend of Catholic Family News, who likewise spoke at our 2018 conference and also serves as CFN’s theological advisor. As such, I’ve asked Fr. Albert a few questions related to the upcoming conference in Rome (scheduled for Saturday, June 23) and, ultimately, to the ongoing crisis in the Church, which the conference seeks to address. Catholic Family News (CFN): Thank you, Father, for taking time out of your busy schedule to conduct this interview on what is sure to be an excellent conference. Fr. Albert: I am always happy to talk to CFN and especially in order to help make known this important meeting in Rome. CFN: How did it come about that you will be addressing the upcoming conference? Have you spoken at other Lepanto Foundation events in the past? Fr. Albert: No, I have never spoken at Lepanto events before, although I remember hearing about the organization over thirty years ago when I was studying in Rome. At the CFN conference in Chicago in April, Dr. Roberto de Mattei spoke to me about this meeting in Rome and invited me to speak there. Amoris Laetitia and the present Pope, he said, are only symptoms of a deeper problem, a problem that would remain the same if the Pope were to die tomorrow. 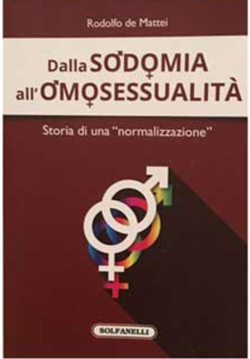 The aim of the meeting in Rome will be to try to get to the roots of the problem, hence the title they have given to the conference. CFN: In reference to the conference theme, “Old and New Modernism: The Roots of the Church’s Crisis”, what is “new” about more recent manifestations of Modernism (defined by Pope St. Pius X as “the synthesis of all heresies” in 1907)? How badly would you say the Church is currently infested with Modernist errors? So, the only thing really new about Neo-modernism is that it succeeded where Modernism failed. It not only survived its condemnation but triumphed at Vatican II and has been reigning gloriously ever since. As always with revolutions, there have been power struggles among the revolutionaries over the years among factions who disagree on how far and how fast the revolution should go. Presently, the radical faction has taken power from the more moderate faction, but the fundamental problem is always the same. We have to go back to the erroneous principles at the bottom of the whole thing and root them out. That will obviously be a job for the authorities in the Church, but the theologians have a role to play in clearly identifying these principles and showing how they contradict the teaching of the Church. Just as the periti at the Council led the bishops astray, someone has to help them find again the path they left back then. Perhaps the mayhem of the present pontificate is making at least some of them ask themselves what has gone wrong, and so they will be disposed to receive the answer. CFN: The title of your talk is advertised as “Collegiality: A New Doctrine?” Would you give readers a brief synopsis of your topic? How does it relate to the general theme of Modernism and the crisis in the Church? 1) First of all, it denies the plenitude of the authority of the Pope defined by the First Vatican Council, which pronounced anathema on anyone who says that the Pope only had the major part of the authority over the universal Church and not the “entire plenitude” (tota plenitudo) of this power. This “tota plenitudo” does not seem to leave room for anyone to share in this power, as the doctrine of collegiality says the bishops do. It is true that during Ecumenical Councils the Pope shared his authority with them, but it was because he wished to do so, not because they have this authority by themselves directly from God by their episcopal consecration. 2) Secondly, collegiality pretends that the source of the jurisdiction of the bishops is the sacrament of their episcopal consecration, whereas the doctrine and the practice of the Church for a thousand years has been that this jurisdiction comes from the canonical mission given by the Pope. Thus, for example, a priest who was named bishop in a diocese received immediately jurisdiction over his diocese, even though he was not yet consecrated bishop. The same went for a priest or deacon who was elected Pope (something that often happened): as soon as he accepted his election as Bishop of Rome, he received universal jurisdiction over the whole church, even though he wasn’t yet a bishop. This practice was enshrined in the canon law still in vigor during the Council itself: it was only changed later when the code of canon law was revised after the Council to bring it into line with the new doctrine. 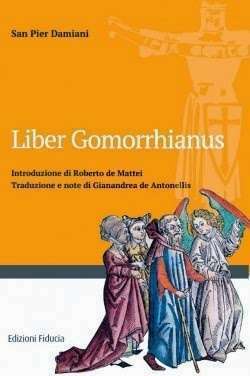 Now, this undermining of papal authority has a very close relation to Modernism and the crisis in the Church because one of the fundamental principles of Modernism is that revelation does not come from an authority outside ourselves but from the “vital immanence” of the interior conscience of men. Authority, therefore, has to be democratic, it comes from the bottom up: it is not a matter of one man speaking in the Name of God to subjects but of a group trying to work out together “to hear what the Spirit is saying to the Churches”, etc. As long as we remain in that kind of context, there is no way we will ever get out of the crisis since the Council, which has been largely caused by this manner of government starting with the event of the Council itself, where “the Bishops” (in reality, a highly organized group of modernist bishops from Northern Europe) took over and have been directing things ever since. CFN: Speaking of the crisis in the Church, I often wonder how much worse things must get before large numbers of the hierarchy (cardinals and bishops) will be motivated to stand up and publicly resist. Why do you think there is such apparent apathy on the part of the hierarchy? Fr. Albert: There are no doubt many reasons, but certainly one of the main ones is the lack of formation of these men who have been formed in modernist seminaries themselves and so they don’t really see the gravity of the crisis. Things will probably have to get still worse before they begin to seek to understand, although what we are seeing with the present Pope is perhaps a beginning of that. CFN: Concerning the four cardinals’ dubia, I would be very interested to know your thoughts as to why Cardinal Raymond Burke has apparently decided not to issue a “formal correction” of Pope Francis, which he said in mid-December 2016 “would probably take place sometime after” the Feast of the Epiphany 2017. (Several months later, he described in detail the form that such a correction would take.) In late September 2017, shortly after the death of Cardinal Carlo Caffarra and just days before the Correctio filialis was made public, he emphasized that “Cardinal Walter Brandmüller and I will take forward the important work of resolving the dubia.” And more recently, on EWTN’s The World Over with Raymond Arroyo (May 3, 2018), when asked about plans for a “fraternal correction” of the Pope, Cardinal Burke once again described the form it would take (citing Our Lord’s words in Matthew 18:15-17) without giving any indication of actually intending to issue a correction. Why do you think he has not followed through on this initiative? Fr. Albert: I have no idea. Perhaps he feels so isolated that he thinks such an initiative would just make things worse. Again, I don’t think even Cardinal Burke really understands the depth of the crisis. For example, I read an interview of him some time ago where he invokes the principle of collegiality himself as a justification to oppose what the Pope is doing! We may well have to wait until this generation passes away before there will be bishops who will really do anything. 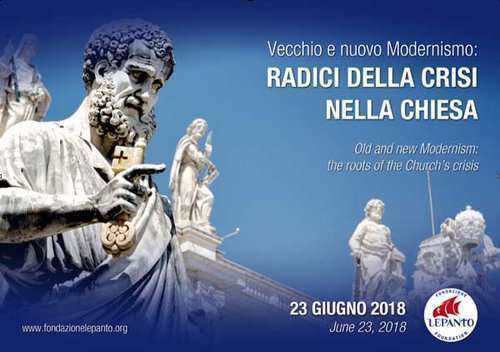 This is another reason for such meetings as this one in Rome, which will hopefully help to give answers to the younger members of the clergy who will be seeking to understand the roots of the crisis as it gets worse and worse. CFN: Since the upcoming Lepanto Foundation conference seeks not only to “analyze the…roots of the crisis” but also to put forth “the remedies to overcome it,” what advice would you give to the faithful who are trying earnestly to give their children a truly Catholic upbringing and to make progress in the spiritual life themselves? What are the best ways for them not only to survive but to thrive spiritually in these difficult times? Fr. Albert: There are many things that could be said in response to your question and no doubt this meeting will address it. I will simply recommend one thing that is fundamental and is linked with my topic because it is linked with the principle of authority, which is undermined by collegiality. God will give light to know His will to anyone who wants to do it: Our Lord Himself says that in the Gospel. So, the most important thing for the faithful to do in this time of confusion is to accomplish first their duties of state, those things that they know God wants of them. Then God will guide them by showing them who to follow. It isn’t a matter, then, of passing hours and hours on the internet searching for the “right blog” which is going to give you all the latest news on the crisis, so that then you can decide for yourself what the proper position to take on all sorts of questions that you can’t really judge and that don’t really matter for you anyway. The attitude of a true Catholic is not to want to judge everything himself, but rather to see whom he should follow. God does not give light to everyone to judge everything, but rather He gives everyone the light to see whose judgment they should follow. So my advice is simply to do God’s will that you know already and ask Him for the light to see whom you should follow in this present confusion, so that you might know what He wants of you and be safely led in the direction of Heaven and not somewhere else.